Throughout this past year, K-pop as a genre, industry, and community reached taller heights and deeper lows than ever before. From BTS’s astronomical success in the international market to Kim Jonghyun’s tragic and untimely passing, 2017 has been a year of both exciting and depressing extremes for fans everywhere. The erratic up-then-down rhythm of this year has made teasing out the bigger trends a bit more difficult than usual, especially in the world of female K-pop, which has been been plagued by an increasing pace of both disbandments and debuts since the year’s outset. In the effort to parse out this year’s happenings into valuable conclusions, I’ve noticed that 2017 is severely lacking in girl group bops. Girl groups have always been known, above all, to produce exciting songs that captivate public attention. And while there are a few singles that have done just that — Red Velvet’s “Red Flavor” and TWICE’s “Knock Knock,” among others — the numbers pale in comparison to years past, when the charts were stacked with a list of iconic hits from top-tier girl groups. What has made a significant forward charge in 2017, however, is the collective presence of female soloists, who’ve made huge strides in public popularity and digital sales this year. From Ailee and IU to Heize and Sunmi and many more, solo women have made their voices heard in a way that K-pop hasn’t seen in years. A comparison of 2017’s highlights for female soloists and girl groups indicates an interesting trend in the female K-pop market: the rise of female solos, possibly at the expense of or in the absence of successful girl groups. Any discussion of 2017’s Korean music cannot begin without first mentioning Ailee, as her Goblin OST song “I Will Go To You Like the First Snow” is probably this year’s biggest hit, dominating charts and public consciousness throughout January and February. While not the song doesn’t stem from a traditional promotion cycle or album release, it is likely one of the most memorable songs of this year for domestic listeners in Korea, as it encapsulated not only the sentiments of one of the decade’s most popular dramas, but also capitalized on its seasonal appeal during winter months. Ailee’s success on its own is not an uncommon finding — a female soloist definitely does achieve a major hit every year, especially when it’s an OST ballad for a hit drama. The key to what makes this year different, however, is the fact that this kept happening throughout the narrative of Korean music in 2017. Within January and February alone, former miss A member Suzy’s solo debut also made waves, along with Girls’ Generation’s Seohyun, who herself scored a number-one album. The next major hit to come from a female solo was Taeyeon’s “Fine,” which was released at the end of February but maintained its hold on the charts deep into March. All of these releases, from January to March, each from major names and achieving anywhere from moderate to explosive success, exist in the backdrop of a number of relevant girl groups’ promotion cycles: AOA, Cosmic Girls, CLC, Red Velvet, TWICE, Gugudan, GFriend, PRISTIN, and Girl’s Day. While a few of these groups (Red Velvet, TWICE, and GFriend, most notably) were definitely successful, some of the bigger-name girl groups on this list (AOA, Girls’ Day, and a highly-anticipated debut from PRISTIN) had little impact relative to concurrently promoting female soloists. This trend reaches further into the year: in April, Taeyeon repackaged her album, A Pink member Eunji made a successful comeback, and former 2NE1 member Minzy debuted solo. The real force of 2017’s second quarter, however, was IU, whose album Palette and accompanying title track featuring G-Dragon took over the charts from April into May. Other female soloists promoting at this time include Kisum, Davichi’s Lee Haeri, and Baek A-yeon. Girl groups made a significant recovery in the summer, though, with comebacks from the likes of T-ara, 9M– USES, Cosmic Girls, A Pink, MAMAMOO, and BlackPink in June. The latter three made waves with “FIVE,” “Yes I Am,” and “As If It’s Your Last,” respectively, and were followed by Red Velvet’s “Red Flavor” in July, which became the year’s definitive summer hit. Unlike previous years, during which female solos like Lee Hi or Baek A-yeon sporadically topped charts here and there while girl groups would released hit after hit, female solos went on to dominate digital charts and public popularity throughout the summer. Suran’s single “Wine,” notably produced by BTS member Suga, was an early summer hit, while Kim Chungha’s solo debut “Why Don’t You Know” is considered the most promising of former I.O.I members, remaining within the top 20 of Melon charts throughout the most of the summer. Female solo Heize then had two equally huge hits, “Don’t Know You” and “You, Clouds, Rain,” which effectively became some of the most popular songs of the year (the latter of which can thank the rainy weather at some points during this year’s Korean summer for seasonal relevance). Hot off the disbandment of Wonder Girls, Sunmi’s return with “Gashina” was a major commercial success in August, alongside summer releases from Lee Hyori, Jessi, Jessica, and HyunA. After Red Velvet, the only summer comebacks with any impact were those of GFriend, whose most recent comebacks have had much less impact than their earlier 2017 release, and Girls’ Generation. While the latter obviously created commotion with 10th anniversary album Holiday Night, a shortage of album stock and remarkably quick promotion cycle diminished their ability to make as big of a splash as they have in the past. GFriend then repackaged their album and saw even less success, meaning the only female release in September with lasting impact was IU’s remake album A Flower Bookmark 2. Again, solos maintained the wave of success, while girl groups faltered. As we get to the year’s end, girl groups have recovered some losses in the form of larger-name acts TWICE, EXID, and Red Velvet making comebacks. As we look at the year-in-review, however, the bigger trend still remains — female soloists have grown more forceful this year as figures of popularity and digital success, more than they were in the past. What was so special about 2017 that made this happen? One factor is the constant disbandments of major girl groups. Astoundingly, the number of disbanding girl groups in 2017 is almost double the number of girl groups with a number-one song on weekly charts, according to Gaon. While five popular girl groups disbanded this year — I.O.I, Wonder Girls, SPICA, SISTAR, and miss A,— only three groups had a number-one song — TWICE, Red Velvet, and SISTAR (who disbanded soon after, anyway). Such a metric does discount the success of singles that weren’t number-one, including popular tracks from GFriend, BLACKPINK, and MAMAMOO, but the comparison is still striking. With the past generation of girl groups now almost entirely unraveled, a power vacuum has opened in the world of female K-pop, quickly being filled by already established female solos IU, Ailee, Heize, and others still at career peaks. But disbandments do more than just leave room for other acts — they directly expand the female solo market. Fewer group activities for Girls’ Generation (and the current uncertainty surrounding future activity) gives Taeyeon more room for solo work, and will likely expand opportunities for members Yuri and Hyoyeon as well. I.O.I’s disbandment was the precursor to Chungha’s solo debut, as did Wonder Girls’ disbandment prompt Sunmi’s solo return, and the same can be said about the debuts of Suzy, Minzy, Soyou, and other standout female solos of this year. The end of the previous generation’s girl groups have actually fueled the growth of the female solo market at an unprecedented rate. Newer artists now have to compete with names like those of female solos already famous from past groups, with fandoms and public interest built into their name and brand value. This opinion may be somewhat controversial, but it seems newer girl groups have failed to capture market share the way older girl groups had. After the first season of Produce 101, the girl group market became remarkably more competitive. Following in the footsteps of successful large girl groups Girls’ Generation, TWICE, and I.O.I, companies sought to create their own large girl groups with members who attained relevance from the show. Post-I.O.I, this trend has manifested itself as eight-member Weki Meki, nine-member DIA, nine-member Gugudan, ten-member PRISTIN, and thirteen-member Cosmic Girls. With a few older girl groups like EXID and Girl’s Day still in the mix, this influx of large girl groups surging into the market alongside already established groups like TWICE, Red Velvet, MAMAMOO, GFriend, and BlackPink has largely diluted the girl group fandom, creating too many rookie groups that should be relevant, but can’t all share the spotlight at the same time. While Post-I.O.I groups are by no means TWICE copies, they have definitely made attempts to emulate TWICE’s success by employing similarly lighthearted concepts with songs from some of TWICE’s music producers. These groups’ songs, like Gugudan’s “Chococo,” Cosmic Girls’ “Happy,” and Weki Meki’s “I Don’t Like Your Girlfriend,” have appealed to fandoms who have supported the girls since their I.O.I days, but failed to captive widespread public interest that girl groups have traditionally thrived off of. While all of these girl groups have popular members, none have emerged with objectively popular music. It is not a surprise, then, that the highest-charting post-I.O.I members are solo artists — Chungha’s “Why Don’t You Know” peaked within the Top 15 of Melon and Gaon charts, while Gugudan member Sejeong’s solo single “Flower Way” has outshined and out-charted all of her group’s collective and subunit releases. While the past generation saw popular singles from a whole list of girl groups, including Girls’ Generation, 2NE1, Wonder Girls, SISTAR, miss A, 4minute, KARA, Secret, After School, AOA, T-ara, and more, only four or five are able to produce similar results now. The rest of today’s “popular” girl groups are instead producing results like those of past lower-tier girl groups like Dal Shabet and Stellar, who are amazing in their own right, but demonstrate that the girl group market as a whole doesn’t perform as well as it used to. Is K-pop experiencing a permanent change? Is the traditional girl group model going obsolete? The answer to these questions is entirely uncertain, especially with incoming debuts. LOONA, an upcoming girl group, seems to be following recent trends with a total of 12 members, but their twist on the traditional model is that each of them will have released a solo album before the group’s full debut. Perhaps LOONA is one step ahead, already cognizant of the power of a solo debut despite their ultimate goal of finding success as 12 members. 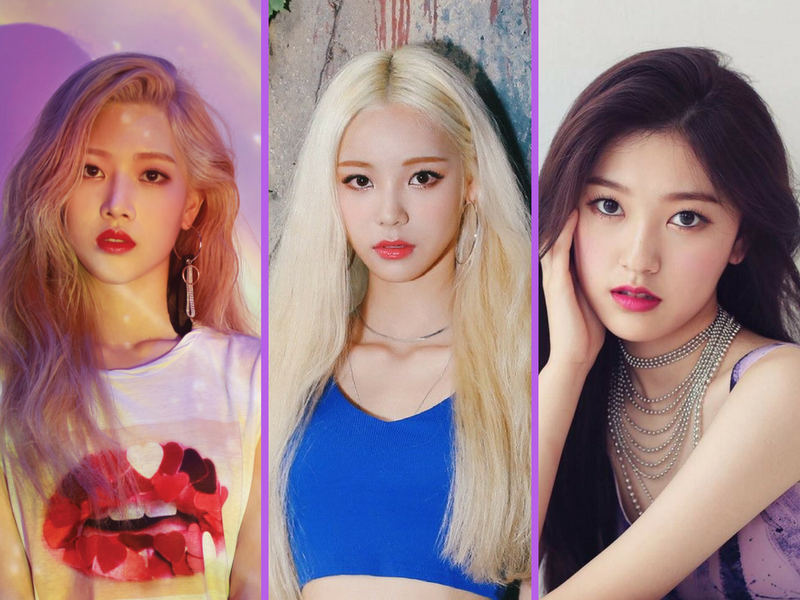 We have yet to see how these pre-debut projects will materialize in LOONA’s presence as a full group, but their solo works have definitely found footing among groups of international fans — a sign of hopefully good things to come. Among the many ups and downs of 2017, solo women have become more powerful in Korean music than ever before, and the rest of the industry is quickly realizing that. How exactly this affects girl groups going forward will become more clear as time goes on. We can be sure that, in the meantime, female soloists like Taeyeon, Chungha, IU, Heize, Sunmi, and others will bring us more hits to come. Which female soloist was your favorite this year? Share your thoughts in the comment section below and be sure to subscribe to the site and follow us on Facebook, Twitter, Instagram, and Tumblr to keep up with all of our posts. In the 25th episode of of KultScene’s K-pop Unmuted, Stephen Knight, Tamar Herman, and Alexis Hodoyan discuss the history of Super Junior, the group’s recent comeback with Play and ”Black Suit,” and some of our favorite songs from the Kings of Hallyu. 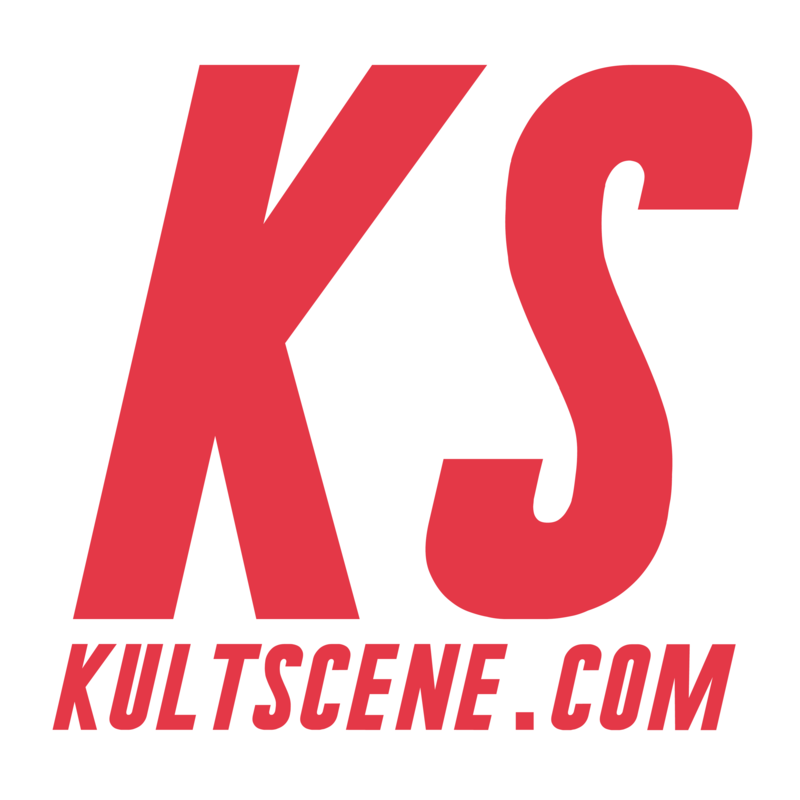 Let us know what you think of Super Junior’s latest and KultScene’s K-pop Unmuted in the comment section below and be sure to subscribe to the site and follow us on Facebook, Twitter, Instagram, and Tumblr to keep up with all of our posts.